To make this happen, you just need a computer, investment account, and basic financial understanding. What are your objectives? Why are you particularly looking for high investment returns in your portfolio? While you may have a plethora of goals, you must not forget to aim for sufficient funds to grow your retirement nest egg, rebuild your portfolio, generate cash flow, and even offset your tax exposure. You should take all of the above into consideration. Remember that goal identification is critical in designing your model portfolio and creating a high return asset allocation. Based on your objectives, establish your target investment return. This requires some basic mathematics. You can utilize online calculators available without cost to play with your numbers. 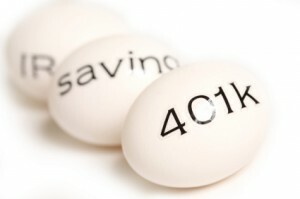 Here is a case in point why you should recognize your target return: If you are 25 years of age currently and your chief aim is to sufficiently fund your retirement account by getting the best Roth IRA interest rates worth $1.5 million when you become 65 years of age, then the rate of your contribution would be around $250 every month at 10 percent yearly rate of return. If you try to adjust the specified rate of return, it would alter the net result, and even the goal you set in the first step. Keep in mind that every move you make has an impact to your portfolio. Once you’ve set your objectives as well your target return, to achieve high return investing, you must do your homework to spot high yield investment opportunities and strategies. Similar to retirement investing where you at times seek help to recognize the best 401k investment, you may only discover the best investments when you discuss your financial circumstance with an experienced and certified professional. 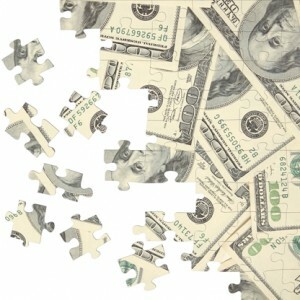 This is the part where you can piece your investment puzzle all together. The asset allocation and sector balance will be dependent profoundly on the earlier steps. Since your target rate is 10 percent, you should start picking asset classes as well as securities in the right combination to achieve your target return. If your chief objective is to make a cash flow on a monthly basis from your investment account, the structure of your portfolio will be different from someone who’s planning to minimize his tax exposure. Here’s another example: A portfolio founded mainly of bank CDs for your cash accounts is an effective investing move, however it will only provide you weak return at 5%, being the highest. On the other hand, if you incorporate a conservative option technique like covered call writing, then you can counterbalance the low yield and start getting closer with your target return. You can incorporate high return investment in your portfolio by determining your investment style. This is also very important if you wish to have the prowess of transforming debt into wealth. Find out if you are an active or passive investor, if you wish to do growth or value investing, and if you prefer small cap vs large cap companies to invest into. Assessing each one of these and evaluating your preferences will grant you a quick idea of what investment strategies will actually suit your personality and investing requirements.